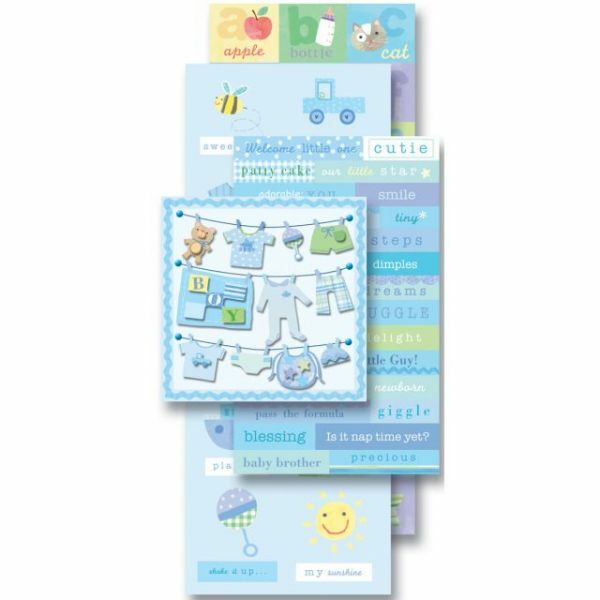 Flip Pack Sticker Embellishments - K&COMPANY-Embellishment Flip Pack. This is a unique variety sticker and embellishment pack. Alphabet stickers approximately in assorted colors, rub-on quotes approximately in assorted colors, die-cut tags, flowers and 3-1/2x2in patterned cardstock. Available in a variety of themes: size, shape, number of and colors vary by theme. Imported.